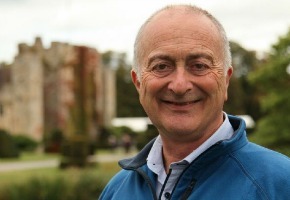 The very charismatic Tony Robinson has a new four part series, Walking Through History, coming to SBS ONE. Much like his Time Walks series, this time he embarks on walks through some of Britain’s most historic landscapes detailing stories from the country’s past. This week, Tony’s walk takes him back to 1940 when the sleepy county of Dorset became the unlikely front line in the war against Hitler. His five-day, 100-kilometre walk along the Jurassic coast reveals the county’s hidden World War Two story. Starting by the defences on Chesil Beach (still standing 70 years on), Tony’s journey encompasses stunning scenery and scenes of amazing acts of ingenuity and bravery as he heads east towards Swanage and Studland Bay. Saturday, 20 July at 7.30pm on SBS ONE.